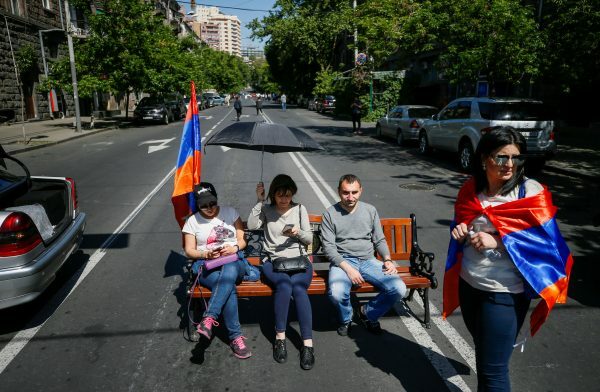 YEREVAN—Armenian protesters blocked roads in and around the capital on Wednesday, May 2, responding to a call from opposition leader Nikol Pashinyan for a campaign of civil disobedience to force ruling officials to relinquish its grip on power. Ex-Soviet Armenia is locked in a political crisis after the ruling party, severely weakened after days of protests that forced its nominee for prime minister to quit, dug in its heels and refused to back Pashinyan to replace him. The standoff is being watched closely by Russia, which sees Armenia as a close ally and is wary of it going the same way as Ukraine, where an uprising swept to power new leaders who pulled the country out of Moscow’s orbit. In the capital, Yerevan, all the main streets were blocked by cars, minibuses and garbage bins. The road to the international airport was blocked. A spokesman for the civil aviation authority said one flight had been canceled. Reuters reporters in Yerevan said shops and offices were open, and some people were still trying to get to work, despite the roadblocks. Protesters marched through the streets, shouting “Nikol! Victory!”, waving flags and blowing horns. Police tried to persuade protesters to open roads, but did not use force. 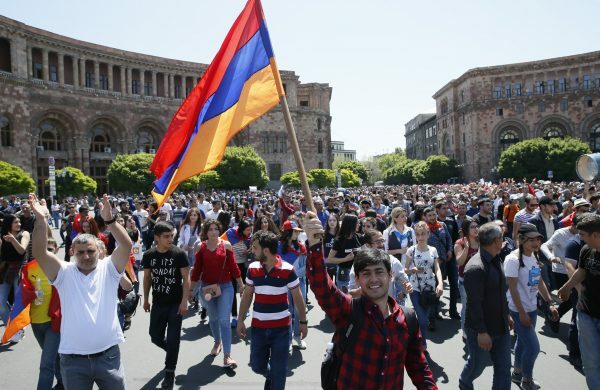 Local media reported that there were also protests in several other cities in Armenia, a country of three million people that is home to Russian military bases. Pashinyan, in an interview with Reuters at a protest in Yerevan where he was surrounded by cheering supporters, said he would keep the pressure on the ruling party. The outcome of the standoff is likely to hinge on who blinks first: the opposition which is able to mobilize tens of thousands of protesters angry at what they see as official cronysim, or a ruling elite that controls parliament and the security apparatus and has Moscow’s backing. Veteran leader Serzh Sarksyan tried to become prime minister last month after serving as president for a decade. But his switch to the new job triggered protests, and he stepped down after just a week, appearing to signal a shift in power in a country run by the same cadre of people since the late 1990s. Pashinyan, a 42-year-old former journalist who spent two years in jail for fomenting unrest after Sarksyan was elected in 2008, was put forward to parliament as the only nominee for the vacant prime minister’s job. But the Republican Party, allied to Sarksyan, has a majority in the legislature and after hours of acrimonious debate it withheld its support for Pashinyan, leaving him short of the support he needed. 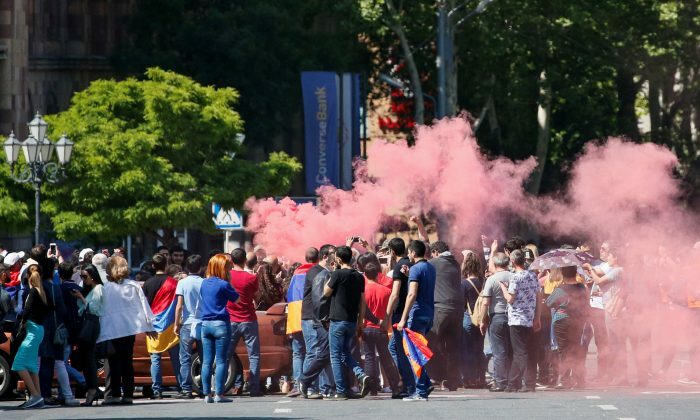 Supporters of Pashinyan in the streets on Wednesday said the ruling officials had lost popular support and should now step aside. “We won’t allow the government to ignore us!” said Mariam Abajyan, a 27-year-old unemployed woman who was taking part in the protests in Yerevan. “We will paralyze the whole city and the whole country,” said Sargis Babayan, a 22-year-old student wearing a T-shirt with Pashinyan’s portrait. A resident in the town of Dilijan, in the north-east of Armenia, said parked vehicles and rocks had been used to block the roads there. The resident said shops were open but most schools and kindergartens were shut. Not all Armenians back the protests. Some see Pashinyan as a demagogue who is trying to oust the country’s democratically-elected leaders by whipping up public anger. 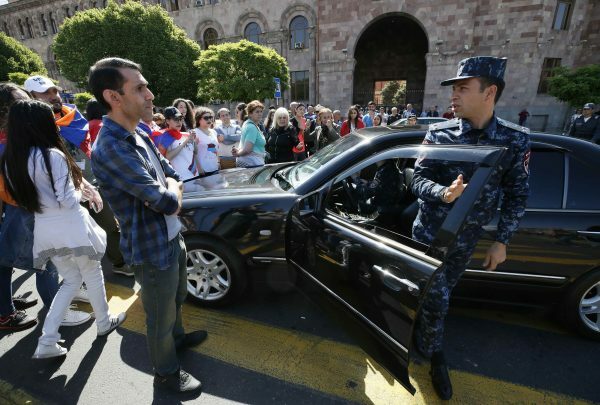 Reuters reporters witnessed two incidents in Yerevan when the drivers of vehicles remonstrated with protesters blocking their path. “The country can’t exist like this. I couldn’t get to work today and called in to say that I wouldn’t come,” said Zhanna Petrosyan, a 56-year-old doctor. Another attempt to elect a new prime minister is due in a week. If parliament fails a second time, the constitution requires early parliamentary elections to be held.